AA Skincare is a new, natural cosmetics range by Amphora Aromatics. They produce skincare products that are suitable for different ages and skin types that contain top quality essential oils. Also, because they cut back on their advertising budget, they can sell high-quality products that don't cost the Earth. One of the products they have to offer is the AA Skincare Deodorant. It is made up of pure, naturally deodorising essential oils and natural extracts to create a roll-on that is provides day-long freshness, is non-irritating and doesn't block pores, allowing the skin to breathe. They are also free of alcohol, aluminium and artificial fragrances (which can cause clogs in the skin, leading to spots and boils). It comes in a range of three different scents; Lemongrass and Lavender for freshness, Bergamot and Chamomile for sensitive skin and Grapefruit and Cedarwood for men. 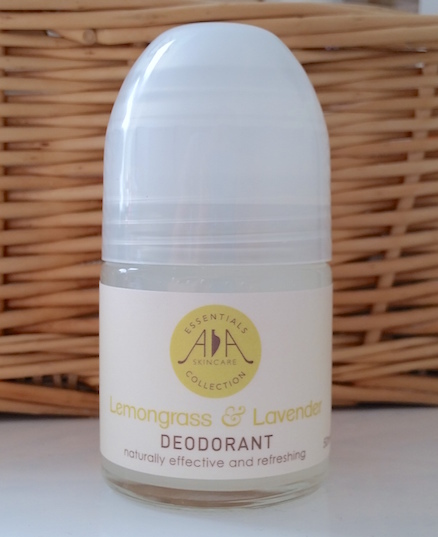 I have a bottle of the Lemongrass and Lavender Deodorant that I have been using recently to discuss with you today! As with all other roll-on's, simply remove the cap and roll all over clean, dry underarms. On first use the roller ball may take a short while to get moving properly, but as soon as things are running then you shouldn't have that problem again. The first thing that you notice about AA Skincare's Deodorant is the scent. Its smell is really subtle but beautifully clean and fresh, perfect for its product type. I also find it quite relaxing. I assume that this is due to the lavender, but it is a great element of it. Getting to the important part though, I find that this does a fantastic job at keeping the not very nice sweat smell away, without making your armpits irritated or uncomfortable. Not only that, but that lovely clean scent lasts throughout the day, meaning that you stay feeling and smelling fresh. Another great thing about it is that it dries really quickly, which obviously means that you can get dressed sooner too. In fact, it's probably the fastest drying roll-on that I have ever used (and I only use roll-on's, so I've used a lot of them over the years!). In regards to white marks, I have tried it with a variety of different colours, but my main test was with black. I decided to wear a long-sleeved black top to give it a good test and I'm pleased to say that I've had no marks at all with any of the colours. One of the things I particularly love about the packaging is that you are able to see the amount of product left. Some roll-on deodorants don’t allow you to see inside and even holding them up to the light can be misleading as the rollerball can make it look as if there is more left (I’m not the only one who finds this… right!? ), and that can be really annoying. 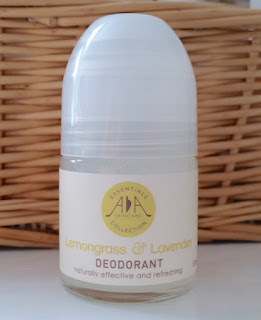 With AA Skincare's Deodorant however, you are aware how much you have left at all times and are therefore prepared to buy a new one in time. As weird as it sounds, this roll-on actually makes me feel happy when I use it. Maybe it’s the calming scent or the fact that it’s not full of chemicals and it therefore makes you feel better about the process, I don't know. What I do know though is that I really like this product. It's a brilliant addition to my daily routine! 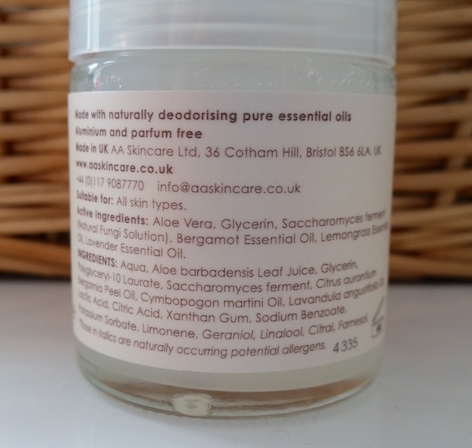 You can purchase AA Skincare's Deodorant for £4.94/50ml from AA Skincare or Amphora Aromatics (and at the time of writing it is on special offer to £3.96). What are your thoughts on AA Skincare's Deodorants? What do you think about trying out natural deodorants? Browse your own shortlisted sites IN ADDITION TO delivery to search for your own perfume you would like to buy. examine because of its brand, perfume name, price, AND etc. factors to obtain confirmation In regards to the availability of any product. But you need to always store regarding added varieties Equally you never know you take to find something much better when compared with what a person chose intended for yourself. If you want to know more information please click here.